By the fall of 1927 the Pentecostal revival from Bourgas extended to several outreaches. Appropriate recognition was given by the General Council of the Assemblies of God in their September, 1927 meeting. 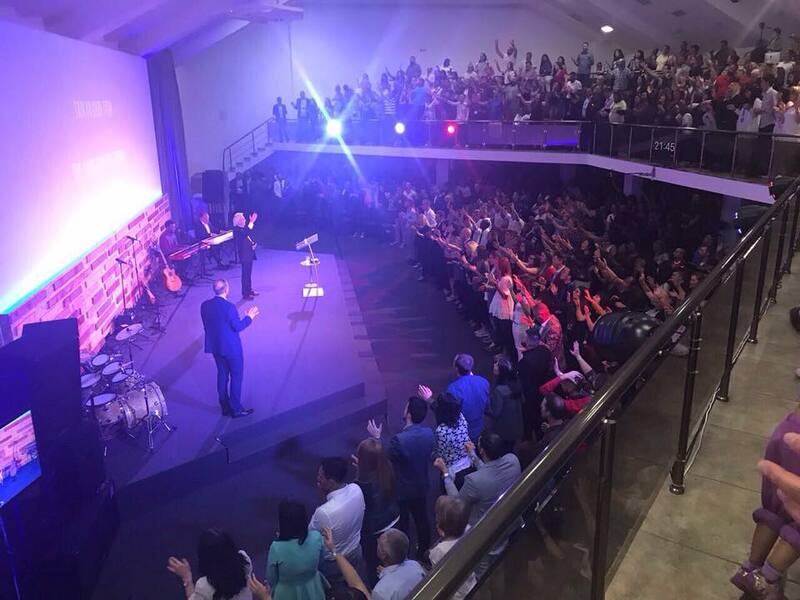 The Latter Rain Evangel also reported revival in Bulgaria, workers trained at the Bible School and a good number saved and baptized with the Holy Spirit. 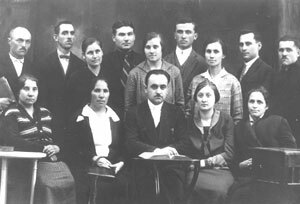 With this avid success and the arrival of Nikolov’s first-born son on November 9, 1927 came the second attempt to unite Bulgarian Pentecostals. A preliminary meeting was held in February of 1928 in Rouse where the Union’s establishing meeting was scheduled for March 28 in Bourgas. To no surprise, only 14 delegates representing five congregations attended. The delegates voted and received the Union’s by-laws and statement of faith, based on the same documents by the Assemblies of God in America. 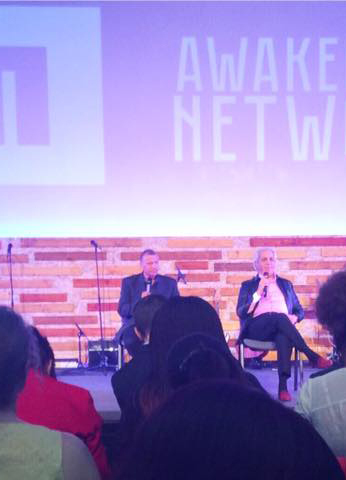 The first annual conference of the new Union followed in October in Varna. A national General Council was set and the Executive Committee was chaired by Pastor Nikolov – at the time of his appointment he was only 28 years of age. Trained in the United States and familiar with the Assemblies of God structure, Nikolov purposed to replicate the same organization in Bulgaria. Unfortunately, most Bulgarian Pentecostals in 1928 did not have a clear perception of the Assemblies of God and hardly felt part of the denomination. With only 20 members, the new organization was a small minority and did not represent the vast diversity within Bulgarian Pentecostalism at the time. Neither did it cause the split among Bulgarian Pentecostals as often held. The official registration of the Pentecostal Union simply confirmed the deepening division among Pentecostals in Bulgaria that had taken place since Zaplishny was deported in 1924. This section is to not only show forth who A.J. Tomlinson was in scripture but also to show forth the personality and character of Bro. A.J. Tomlinson. Those who would not care to read an autobiography would at least get a glimpse of the type of man he was and the life he lived for God. Jesus spoke of John the Baptist in Luke 7:26-28..but what went ye out for to see? A prophet? Yea I say unto and much more than a prophet.This is he of whom it is written, behold I send my messenger before thy face which shall prepare the way before thee. Luke 3:4– as it is written in the book of the word of Esaias (Isa 40:3) the prophet saying the voice of one crying in the wilderness prepare ye the way of the Lord make his path straight. These prophecies were fulfilled June 13 1903 as Bro Tomlinson went to the top of Burger Mountain North Carolina to pray and seek the Lord. He prayed and prevailed with God. After prayer he came down from the mountain and declared that they [people @ holiness church @camp creek] were “The Church of God” taking the whole bible rightly divided as their only rule of faith and practice. Thus the Church of God was founded and Bro Tomlinson was chosen as pastor. A multitude of people were gathered together at the foot of Burger Mountain in North Carolina, Sunday afternoon September 7, 1941…..The General Overseer explained the purpose of the meeting and gave a brief history of events in connection with Fields of the Wood. A portion of his message follows: “one thing special that has accompanied all the way is that we have had a vision of it, understood it, obeyed it, and walked in the light before we knew it was in the scripture. Afterwards we found it in the scripture. We knew this place was here a long time ago, but we didn’t know it was the Fields of the Wood. We just didn’t know it, but it finally came out until you can see it is now marked the Fields of the Wood. Those who do not know specially about it are interested to know how it became Fields of the Wood. It was read here in scripture lesson how it came to be the Fields of the Wood. “David was a prophet. He searched but he didn’t know. He knew there was something to be done but he didn’t know how or where. By and by in his vision he found what he was hunting for. He found it in the Fields of the Wood. But he didn’t live to see it. People think it is some spiritual something, but here it is. It is the Fields of the Wood. David found it in a spiritual way in his vision, but it was left for me, A.J. Tomlinson, to really do this and find it here. I want to give you a little history, also speak in regard to the airplanes, because the airplanes are the last days product. The Church of God is the last days product. And they go hand in hand. This is rather peculiar. “Right here was organized in May, 1902, what was called the Holiness Church at Camp Creek. After thirteen months they called me to come to their meeting they had called for the thirteenth day of June, 1903. I came with the understanding we were going to search the Bible to see if we could find the Church of God, just like David said we would find it. I came and after staying all night with Brother Bryant I got up next morning, had prayers, ate breakfast, and took out up the mountain. I was gone for an hour or more. I came back down the mountain and entered the meeting. Questions were asked, Bible answers given, they said they took the whole Bible rightly divided as their only rule of faith and practice. I said “well if you take the whole Bible rightly divided, that makes it the Church of God. 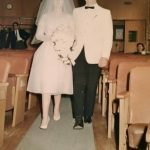 Why do you want to call it the Holiness Church at Camp Creek? They agreed with me but couldn’t answer the question. Then I said “you have agreed that this that I have said makes it the Church of God, and you are willing to take it and keep it The Church of God? They said they were willing to take me in with the understanding that it is the Church of God—– not going to be—– but is the Church of God. So I stood right there in front of the fire place and Bro Spurling took the Bible and gave it to me. He handed it to me and said, “Will you take this as the Word of God, believe it and practice it, and obey its precepts and walk in the light as God is in the light? I thought deeply. I remembered what a time I had on the mountain. I meant business, God meant business, David meant business, and Isaiah meant business when he said “Arise shine” for thy light is come. That is the Church of God. Nobody could help it, nobody could keep it from it. That is the Church of God. Nobody else had said it. Nobody had stepped out boldly like that and declared this is the Church of God. No guess work about it. “I will build my church and the gates of hell shall not prevail against it” That was the starting, but it had been covered up with creeds until nobody knew where it was. It had been covered up long enough and God said, “Arise shine” and it came. 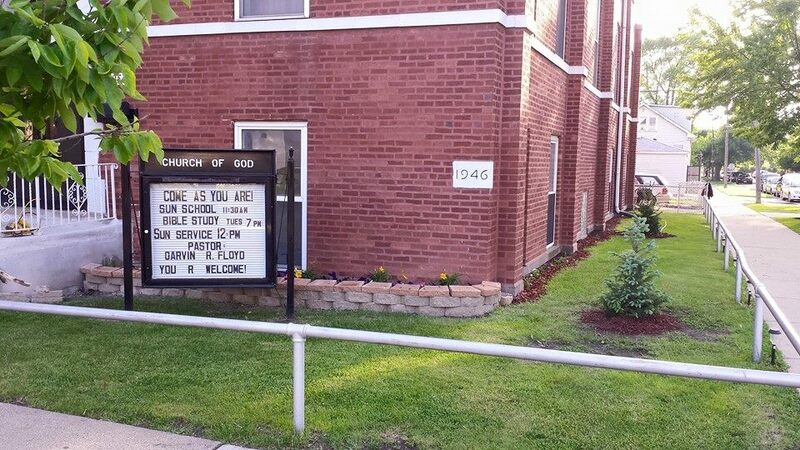 It is the Church of God, and I had to do that. I didn’t make any plans about it. I didn’t make arrangements for it. When the time came that thing had to be done. “I believe I can say as well as Paul that for this purpose God raised me up” Why not? Who else did it? Who else would do it? Like the apostle Paul said, I magnify mine office. And like John the Baptist, I was just a voice of one crying in the wilderness. You never saw my name in there, but without a name I was there. It just turned out to be me and nobody can help it. Where would this have been if it hadn’t been for me? I am not boasting only as God has done this for me. Where has anything ever happened like this? Right here I gave my hand to Bro. Spurling, who was not a Church of God member exactly like we are, but he and others were spiritual and good. But they never brought us up and said we are the Church of God. I said it and because I said it, God has been honoring it ever since. 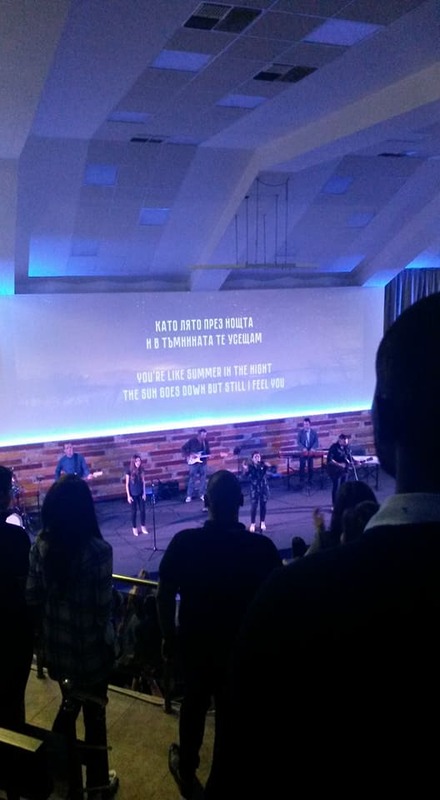 You are the Church of God because I am. We didn’t have anything to happen at that time, but it was a starting point. This is the place. 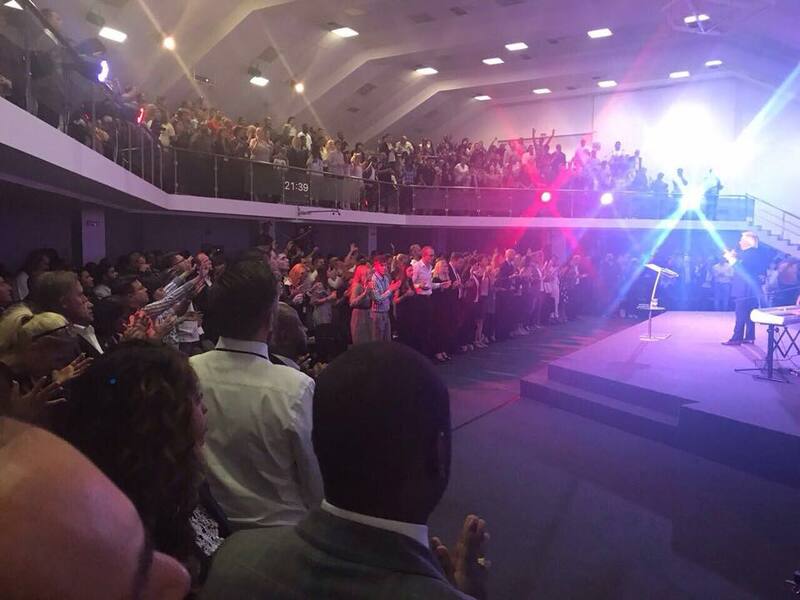 I didn’t do it, but some power got hold of me and I believe it was the power of God…..
Light began to shine. Prophecy began to be fulfilled (Isiah 60:1,2– Arise shine, for they light is come, and the glory of the Lord is risen upon thee. For behold, the darkness shall cover the earth and gross darkness the people, but the Lord shall arise upon thee and his glory shall be seen upon thee) Match stick light but what a great light it was! While the church had the “Arise shine” The same year 1903, same state North Carolina. The Wright brothers were working on their flying machine and finally staged their first flight December 17 1903. The church came up in the North Carolina Mountains “The land of the sky” while the airplane came up on the sand dunes in the opposite corner of the state fulfilling theIsaiah 60:8 prophecy “Who are these that fly as a cloud and as doves to their windows? Two other prophesies being fulfilled were Isaiah 2:2 and Micah 4:1– “ And it shall come to pass in the last days (plural) that the mountain of the Lord’s house shall be established in the top of the mountains (plural) And shall be exalted above the hills and all nations shall flow into it. InLuke 6:12-13, Mark 3:13-14, Jesus went on top of Mt Hattin to pray and then ordained 12 apostles establishing the early church. Bro Tomlinson went up to Burger Mountain to pray, coming down he found the Church of God. Even Moses set in order a church in the wilderness and was given that pattern on Mt Sinai this being a shadow of good things to come and not the very image. From 1903 to 1923 Bro Tomlinson poured his heart and soul into the church. His whole life was dedicated to serving God and the church. In 1923 ten of the elders rose up against Bro Tomlinson and there was a separation. In the call council [August 8 1923] This council condemned the action of the rebellious elders in placing F.J. Lee in the position of General Overseer, because of the fact that no provision was made for such action either in the bible, the constitution, or the assembly minutes. In the 18thannual assembly November 22-27 1923 Bro Tomlinson made it clear in his address that he recognized the office of the Holy Ghost which had been disregarded in the last assembly and that he wanted him to be honored, exalted and obeyed. At the assembly in 1922 bro Tomlinson in his statistical report showed there were 666 churches, 923 ministries, and 21,076 members. 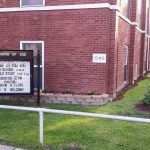 The local church property was valued at $292,613.45 and the property at headquarters was valued at $140,500. The equipment and stock on hand were not included in this. All of this had been built from one small church in less than 20 years. It really took a man of strong courage, great faith, and mighty determination to accomplish a task of this magnitude under the existing conditions. What would it do for most people to have about 20 years of labor wiped out by what might be called one stroke of the hand? And what would it do for many people to have this done to them by those who had been their trusted friends and co-workers because the business was prospering and they wanted control of it? And more than that, what would it do to most people for those they had lifted up and appointed to positions of trust and in a sense made them what they were in the Church of God to betray their trust by turning against their benefactors and saying all manner of evil against them? These are questions that may not be answered. But it is doubtful if many people would have done as A.J. Tomlinson did. 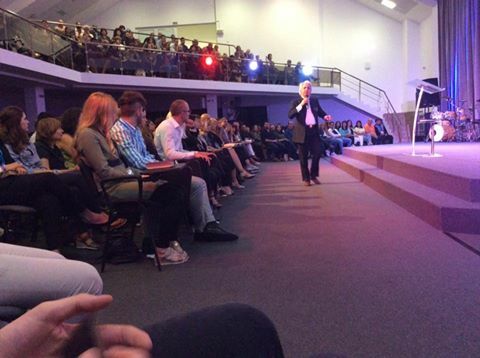 Very few if any would have had the courage to start all over again at the age of 58 years to build the Church of God. But God had chosen him for the position of General Overseer and the spirit of this position was upon him and he could not quit. Besides this he had a vision of the Church of God and he knew the prophecies concerning it, and he realized the work had to be done because the church had to be that pure, spotless Church at the time of the presentation to Jesus Christ, so there was nothing for him to do but to keep on keeping on. It is very doubtful if he ever entertained a thought of giving up and quitting. The writer never heard him express himself in any way that would indicate he did. His only thought was doing what he could to get the work done. The zeal of the Lord of Hosts constantly burned within him and he had to do what he could for God and the up building of His Church. Bro Tomlinson was true to what God had called him to do. God was with him and blessed his efforts everywhere he went and he was used mightily of the Lord. “I have given this description of my work, receipts and expenses, because I feel it is my duty to do so in order that the assembly and whole Church may know something of my service and expenses. My whole soul is in building up and maintaining the institution for which my friends gave their lives to establish nineteen centuries ago. I believe I feel my call to this work as distinctly as the early apostles and church fathers. 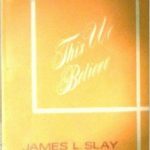 I may feel the responsibility for my part in these last days as strong as James did in the beginning, and when God’s anointing power takes possession of me I feel a boldness and courage that far surpasses the natural. It is then I see the impossibles transformed into victory and the hell gates of appositions melting like wax and vanishing like smoke. 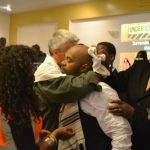 The anointing has been upon me more or less for years, and this year it has loomed up above any year of my experience. My bones are burning now with zeal and courage and a determination to do my part in lifting up the standard until the Church of God shall reach her final triumph….In concluding his address before the assembly that year, he said of himself: “speaking of myself, I wish to say that every drop of red blood in my veins, and all my strength and energy must be used for the Church of God. And I have no strength, no energy, no time or money to put into any other institution. I am conscientious about this. That is where the strength and time of the early disciples went and that is where mine must go…..I may be counted beside myself, but a spirit has taken possession of me, and it must be the spirit of the early apostles—the Spirit of God, that has so overwhelmed me that I don’t mind criticisms, don’t seem to mind anything except to see the Church of God rise to its full height and reach the measure of the stature of the fullness of Christ. The entire life of A.J. Tomlinson was dedicated to the ministry and calling that God had placed upon him. Bro Tomlinson prayed and sought God over the years. Whatever God revealed to him he put into practice and begin walking in it. [ Ps 119:130– The entrance of thy words shineth light and giveth understanding to the simple, Ps 119:105- Thy word is a lamp unto my feet and a light unto my path] He was faithful until his death On October 2, 1943. We as The Ephesus Church of God [4th part remnant] are continuing on in the vision that Bro Tomlinson saw in the word of God’s end time church, the glorious church not having spot, wrinkle, or any such thing, holy and without blemish. The bride of Christ that Jesus will return for. We continue to strive to walk in the light as he is in the light [1Jn 1:7] As God opens his word and shines upon our pathway we are determined to walk in it. And as we continue to walk in that light it will shine greater and greater until we walk in perfection. Prov 4:18– But the path of the just is as the shining light, that shineth more and more unto the perfect day. 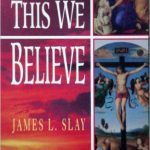 I, James M. Beaty, who started this inquiry, am the retired Academic Dean of the Church of God Theological Seminary and in the process of doing historical research about Richard Spurling (1810-1891) and his son Richard Green Spurling (1857-1935) as they related to the early history of the Church of God. I have written a chapter on Richard but not on Richard Green (R.G.). I do not know if and when it might be published, and do not pretend that it has no mistakes. I would appreciate any feedback and corrections. What I am looking for is verifiable, documentable facts. 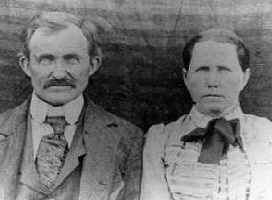 The SPURLIN FAMILY – Richard Greene Spurlin, Sr,, was born NC -1810 to James and Frances Hicks Spurlin. He married Nancy Jane Norman in Anderson County, TN, Jan. 7,1832. Marriage performed by J. Frost, M.O. Nancy was born 4/18/1815 and died 6/10/1878. Richard was living in his parents’ home in Fentress Co. when the 1830 Census was taken. In 1840 – Rev. Richard Sprnlin received Entry 840 – on the waters of Clear Fork in Fentress County.On March 8,1841, he purchased from Arthur Edwards, for the sum of $160, 640 acres on the north side of Clear Fork of the Cumberland River. Richard and Nancy lived on these proper-ties, near his parents and his brother Daniel until around 1847, when they moved their young family to Morgan County, and took his aged parents to live with them. During this time their family had grown considerably. They had James J., Ann Emmaline, Nathaniel Anderson, Daniel Eli Love, William A., and baby Elizabeth. 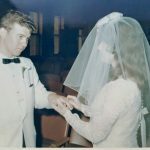 While living in Morgan County, they became the parents of Hiram, Nancy and Richard Greene, Jr. By 1860, Richard and Nancy had moved to Monroe County, TN. Richard, Nancy, James, James J. and Frances Spurlin and Annie “Pittman (Richard’s dau.) were “charter” members of the Clear Creek United Baptist Church of Christ of Morgan Co. which was constituted the 29th of Aug., 1852. Richard, after preaching for over 40 years, was greatly dissatisfied with his church. After two years of study and prayer. a meeting was called at the Barney Meetinghouse in Monroe County, TN. After prayer, a sermon was delivered by Richard G. Spurlin. Sr. emphasizing the need of a reformation. His arguments were very forceful and effective, and were approved by his hearers as was proven when the time arrived for action. The church chose Richard as its pastor and he was ordained the following month – 1886. The “Clinton (TN) Gazette” – 1891: Died – Richard Spurlin, a minister of the gospel from Monroe County, died last Friday. He was 81 years old.” He is buried in the Eleazer Cemetery in Madisonville, TN. Also member of Holly Springs Church. Richard and Nancy’s children & spouses: James J. married Jerusha Pittman – Morgan Co.; Ann Emmaline married Reason Pittman, Mor-gan Co.; Nathaniel Anderson married 1) Mary Wallace – Monroe Co.; 2) Sarah C. Scott -Morgan Co.; 3) Rebecca Childress – Knox Co.; Daniel Eli Love married Mary DeHart; William A. mar. 1) Nancy Black (Monroe Co TN – 9/14/1861), 2) Nancy Scott (a sister to Sarah C. Scott); Elizabeth married ? 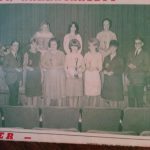 ; Hiram C. married 1) Mary Waldrop, 2) Jane Guffey; Nancy mar. ? 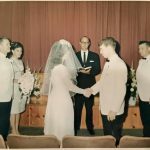 Walls; and Richard Greene, Jr. married Barbara Hamby. The Spurlin men traditionally ran lumber mills and grist mills. Records have been found indicating this from the earliest Spulins of proven ancestry – John, of Orange County, NC. right down the line. Richard, Sr cut 32 sets of grist mill wheels during his lifetime At least 3 sets can be found today. There is a beautiful white Methodist Church building in the Turtletown, TN area that Richard, Sr., and Richard, Jr., sawed the lumber for and constructed. After having taken plenty of time for consideration, the time and place for the meeting was arranged and announced. That day is worthy of remembrance: Thursday, August 19, 1886. The small company of humble, faithful, conscientious pilgrims met at the Barney Creek Meeting House, Monroe County, Tennessee. After prayer, a strong discourse was delivered by the Rev. Richard G. Spurling, emphasizing the need of a reformation. The arguments were full of force and proved effective, and were endorsed by the hearers so that when the time came for action there was free and earnest response. The propositions and obligations were simple. We give it below: “As many Christians as are here present that are desirous to be free from all men-made creeds and traditions, and are willing to take the New Testament, or law of Christ for your only rule of faith and practice; giving each other equal rights and privileges to read and interpret for yourselves as your conscience may direct, and are willing to set together as The Church of God to transact business as the same, come forward.” In response to this proposition eleven persons, whose names are given below, presented themselves and gave to each other the right hands of fellowship: Elder Richard Spurling, his son, R. G. Spurling, Susan Mitchell, Elizabeth Hamby, John Plemons, Sr., Polly Plemons, Barbara Spurling, Margaret Lauftus, Barbara Plemons, John Plemons, Jr., Adeline Lauftus, and two others, names not given. Then they decided to receive persons into membership who possessed a good Christian character, and that ordained and licensed ministers from other churches could retain their same position or office without being re-ordained. By virtue of the office he had held as a faithful ordained minister in the Missionary Baptist Church for a number of years, Elder Richard Spurling was duly acknowledged and recognized as their minister, to do all the business devolved on him as such in the new order. He then having been placed in authority by the body, took his seat as Moderator, and by prayer dedicated the infant church to God, imploring His guidance and blessings for it, and that it might grow and prosper, and accomplish great good. An invitation was then given for the reception of members, and they received Richard G. Spurling, who was then a Licensed Minister. The church chose him as their pastor, and had him ordained the next month, September 26, 1886. New Echota, Georgia was the capital of the Cherokee Nation from 1825 to 1838. This is the location where the Treaty of New Echota or the Treaty of 1835 was signed on December 29, 1835 by U.S. government officials and representatives of a minority Cherokee political faction called “The Treaty Party” or “Ridge Party”. This treaty was not approved by the Cherokee National Council nor signed by Principal Chief John Ross. Regardless, it established terms under which the Cherokee Nation were to receive a sum not exceeding five millions dollars for surrendering their lands and possessions east of the Mississippi river to the U.S. Government and agreeing to move to the Indian Territory west of the Mississippi River, which later became part of Oklahoma. The Red Clay State Historic Park, located 17 miles southwest of the Church of God Headquarter in Cleveland, Tennessee, marks the last location of the Cherokee councils where Chief John Ross and nearly 15,000 Cherokees rejected the proposed Treaty of 1835. 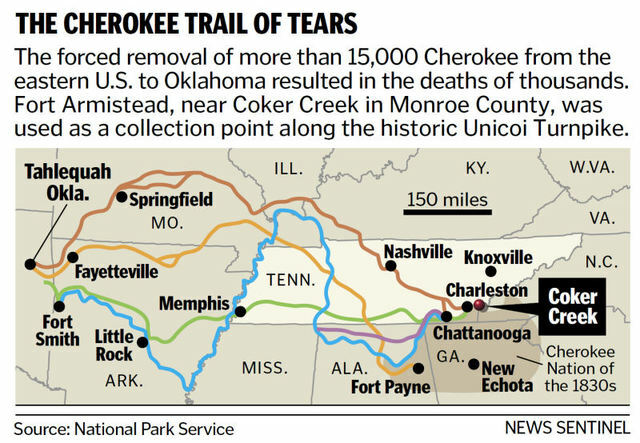 Despite the questionable legitimacy of this Treaty, in March 1838, it was amended and ratified by the U.S. Senate and became the legal basis for the forcible removal of the Cherokee Nation known as the Trail of Tears. The name came from the Cherokees who called the removal “Nunna-da-ul-tsun-yi,” which means “the place where they cried.” The last pieces of land controlled by the Cherokee Nation at that time were North Georgia, Northern Alabama and parts of Tennessee and North Carolina. The forced journey was through three major land routes. Each route could have taken some 1,000 miles and over four months to walk. The removal of the Cherokees and other tribes from their homelands in the Southeast began May 16, 1838. The Georgia Road or present day Federal Road was a route of the Trail of Tears that the Cherokee people walked during their forced removal from their homelands. 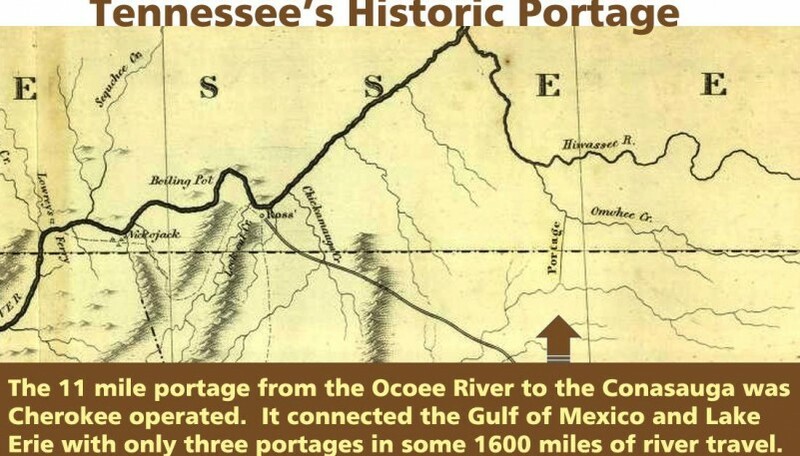 The route was built from 1803 to 1805 through the newly formed Cherokee Nation on a land concession secured with the 1805 Treaty of Tellico with the agreement that the U.S. Government would pay the Cherokee Nation $1,600.00. The Treaty was signed on October 25, 1805 at The Tellico Blockhouse (1794 – 1807) – an early American outpost located along the Little Tennessee River in Vonore, Monroe County, Tennessee that functioned as the location of official liaisons between the United States government and the Cherokee. The route was originally purposed to be a mail route because of the great need to link the expanding settlements during the westward expansion of the U.S. colonies. It was in 1819 after improvements to the road that it was called “the Federal Road”. The Tellico Blockhouse was the starting point for the Old Federal Road, which connected Knoxville to Cherokee settlements in Georgia. The route ran from Niles Ferry on the Little Tennessee River near the present day U.S. Highway 411 Bridge, southward into Georgia. Starting from the Niles Ferry Crossing of the Little Tennessee River, near the U.S. Highway 411 bridge, the road went straight to a point about two miles east of the present town of Madisonville, Tennessee. This location is 20 some miles north of the Tellico Plains area that marks the site of the beginning of the Church Cleveland, Tennessee. 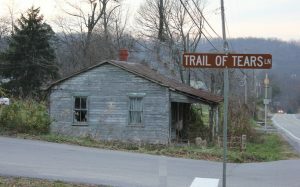 The road continued southward via the Federal Trail connecting to the North Old Tellico Highway past the present site of Coltharp School, intersected Tennessee Highway 68 for a short distance and passed the site of the Nonaberg Church. East of Englewood, Tennessee it continued on the east side of McMinn Central High School and crossed Highway 411 near the railroad overpass. Along the west side of Etowah, the road continued near Cog Hill and the Hiwassee River near the mouth of Conasauga Creek where there was a ferry near the site of the John Hildebrand Mill. From the ferry on the Hiwassee River the road ran through the site of the present Benton, Tennessee courthouse. It continued on Welcome Valley Road and then crossed the Ocoee River at the Hildebrand Landing. From this point the road ran south and crossed U.S. Highway 64 where there is now the River Hills Church of God formerly the Ocoee Church of God. Continuing south near Old Fort, the route crossed U.S. Highway 411 and came to the Conasauga River at McNair Landing. Near the south end of the village of Tennga, Georgia is an historic marker alongside of Highway 411m which states the Old Federal Road was close to its path for the next twenty-five miles southward. 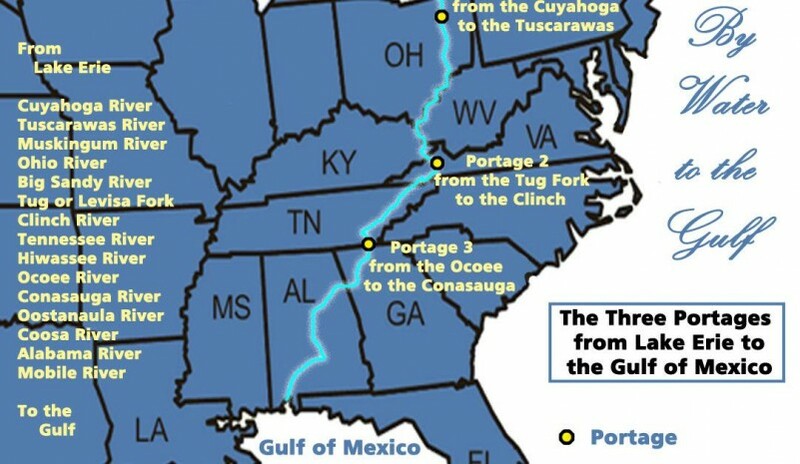 It would have been at this point in Tennga that the Trail of Tears would have taken a turn onto GA-2 passing the Praters Mill near Dalton Georgia to connect in Chattanooga, Tennessee. Out of the 15,000 Cherokee who endured the forced migration west after the Treaty of 1835, it is estimated that several thousand died along the way or in internment holding camps. This Old Federal route is where some of Cherokee holding camps would have been located. The Fort Marr or Fort Marrow military post constructed around 1814 under the 1803 Treaty, is the last visible remains of these camps. The original fort was built on the Old Federal Road near the Tennessee/Georgia state line near the Conasauga River. It was relocated in 1965 beside U.S. Hwy. 411 in Benton and then to it’s current location in the Cherokee National Forest on the grounds of the Hiwassee/Ocoee State Park Ranger Station at Gee Creek Campground in Delano, Tennessee. 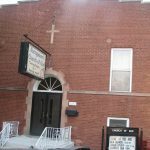 This location provides access to popular Church of God water baptismal sites. In June 4, 1838 Captain Marrow reported having 256 Cherokees at his fort ready for emigration. The Native Americans were forcefully removed from their homes, plantations and farms all because of greed. Thousands of people lost their lives including the wife of Chief John Ross. Parts of the Old Federal Road have been washed away with floods of tears, but there are parts that still remain. The Church of God, having its roots in the same territory of the Cherokee, Chickamauga, Muskogee Creek, Choctaw and Chickasaw people, plays a vital role in the process of reconciliation among the descendants of the Trail of Tears. And the historical buildings and markers along the Trail or Tears must be preserved. The churches along the route even though they were not actual structures during the time period are a historical beacon of hope which still crying out for those lost on this tragic journey. On August 30, 1948, the Church of God General Assembly adopted the Church of God Declaration of Faith. Rev. James L. Slay was the chair of the committee that drafted the 14 item statement. Along with its adoption, the Assembly also recommended: “That the same Articles of Faith Committee, consisting of James L. Slay, Earl P. Paulk, Glenn C. Pettyjohn, J.L. Goins, J.A. Cross, Paul H. Walker, R.P. Johnson, E.M. Ellis, and R.C. Muncy, prepare a full document of the ‘Articles of Faith of the Church of God,’ to be presented for acceptance at the next General Assembly of the Church of God.” Despite the General Assembly recommendation, the Declaration of Faith has not been modified since its adoption in 1948. Famous boatyards near Benton, Tennessee and nearby Spring Place, Georgia were operated by the Cherokee Hildebrand and McNair families respectively. These were opposite ends of a portage of very long importance in eastern North America. The eleven mile canoe portage or, latter, a wagon transport portage, between the upper reaches of the Ocoee River in Tennessee and the Conasauga River in Georgia, provided one of the most significant “shortcuts” in the East.